Hello! Today I'm back with another OccasioNail post. If you missed my initial swatches and review of the new brand, you can find that post here. Linda recently sent me some more of her polishes to share with you, including her personal favourite 'Lagoon'. She has decided to offer this at a special price for the month of February. I thought it deserved a post of it's own, so read on for my swatch! 'Lagoon' is a deep blue with a blue shimmer and slight purple duochrome. It is a bit sheer and patchy on the first coat, but applies smoothly. It dries fairly quickly so if manipulated too much it might streak. This built up to be opaque on the second coat, although I did add a third for some very slight patches - if I wasn't taking photos I would have left it at two. I'd also recommend topcoat to bring out the shimmer. Below is three coats and topcoat. 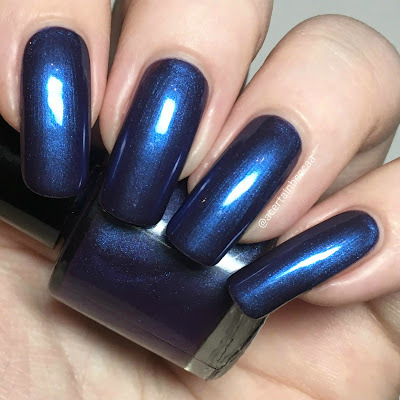 Due to a combination of both the shimmer and the duochrome, this polish looks very different in different lighting. The pictures above were taken under my daylight lamp. I've taken some extra pictures so you can see more of the shift - to a lighter blue and then to hints of purple. What do you think? It's such a gorgeous polish! I'm always impressed when I find a duochrome that can be built up on it's own. To save doing the three coats you can layer a single coat of this over black, which would give a similar look to that in the first picture. I think it would also look gorgeous over a purple base if you wanted to bring out that side of the duochrome. 'Lagoon' is currently available on the OccasioNail website here for £6.50, although as earlier mentioned it will be on special offer for the month of February. You can also find the brand on Instagram here and Facebook here. Wow! This colour has so much depth and is beautiful!!! I love this, it's so icy! wow! 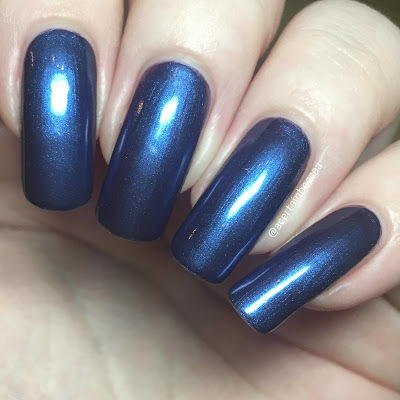 i love a good deep blue and this is really nice! Lagoon is stunning! I love striking colors & finishes like this! Beautiful swatch! I can see why this was her favourite, it's stunning & looks blooming gorgeous in your nails! This blue is beautiful on you! I've not tried this brand before, but I may need to put it on my watch list. Oooh I love how deep and intense this shade of blue is! 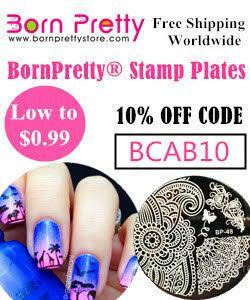 Looks amazing on your nails! That is a beautiful midnight blue! Definitely the type of color I would love to wear right now. 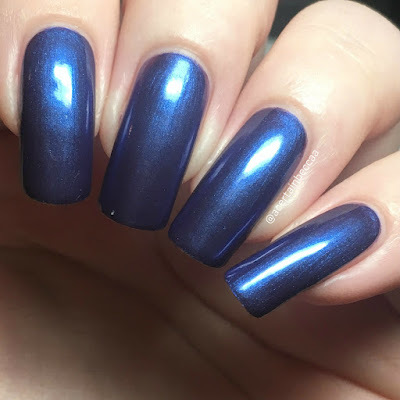 This shade looks so incredible on you! Wow, that blue is stunning! It's an awesome shade of blue! This is such a beautiful blue! Mmmm I love a good blue! Your nails are just perfection! This is stunning!!! I love the icy cold depth!! !